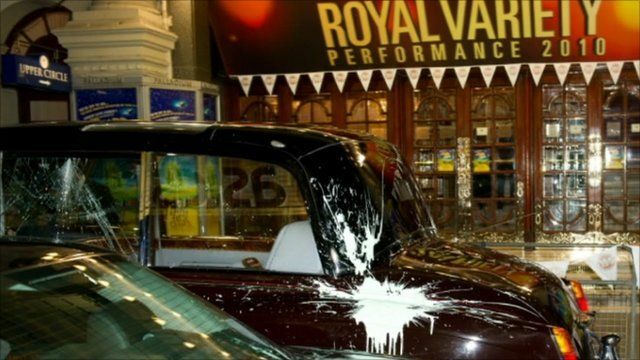 A car carrying the Prince of Wales and the Duchess of Cornwall has been attacked by protesters who had been demonstrating about the rise in tuition fees in England. The royal couple were on their way to the Royal Variety Performance at the London Palladium. Clarence House said they were unharmed. One man, who was not part of the protest and did not want to be named, said he saw people kicking their door.